Remark: This assay runs on m2000sp and m2000rt from Abbott. Company Name: Akonni Biosystems Inc. Remark: This assay runs on TruDx3000 from Akonni. Company Name: Avisa Pharma Inc. 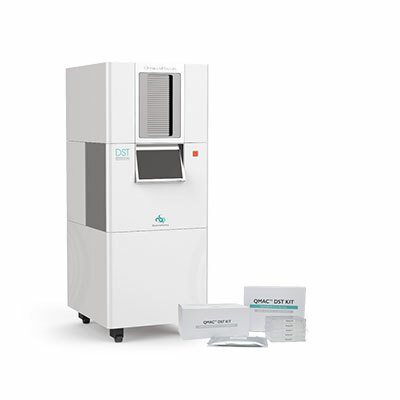 Remark: The assay runs on the BD MAX System which is a fully-integrated, automated platform that performs nucleic acid extraction and real-time PCR. Company Name: DNA Genotek, Inc. Remark: OMNIgene SPUTUM is a non-toxic and highly stable reagent that liquefies and decontaminates sputum samples at the point-of-collection or in the lab while preserving MTB viability for at least 8 days at ambient temperatures. Remark: The amplification and detection are performed in the FluoroCycler 96. Company Name: ID-FISH Technology Inc. Remark: This is a high-multiplex NAAT CMOS biochip platform technology that will support TB-XDR diagnosis in addition to other infectious diseases. Remark: PrimeSuite TB is an end-to-end solution for active tuberculosis infection screening and genetic analysis of drug resistance. It works on most open platform Real-time PCR platforms and Next Generation sequencers, and can be integrated with many high throughput extraction systems. 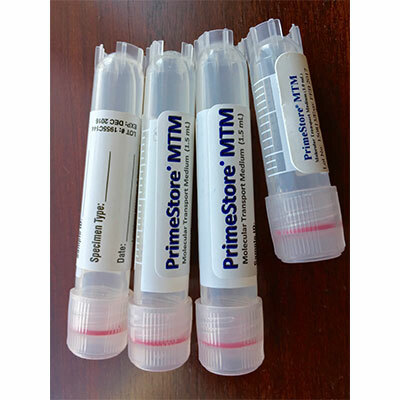 Remark: PrimeStore MTM is a solution for collection, transport, and storage of specimens for nucleic acid testing and analysis. It is also a system for short, medium, and long-term storage of samples. Remark: Chip-based Real Time micro PCR Tests, for automatic amplification and analysis of extracted nucleic acids with Truelab real time micro PCR analyzer & Trueprep sample prep device. Remark: Development of an automated, fully integrated and portable sample-to-answer device. Remark: This molecular real-time PCR assay is running on the UltraFast Sample Prep & UltraFast LabChip Real-time PCR instruments. Company Name: Otsuka Pharmaceutical Co., Ltd. Remark: Urine based LFA test. 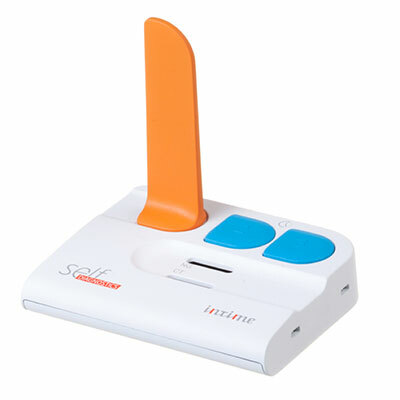 Test includes a concentration step that aims to improve sensitivity. Remark: CE-IVD-marked. For research use only in the U.S. Remark: RUO Product based on multiplex PCR and microarray technology. Company Name: Breathtec Biomedical, Inc. Remark: In collaboration with the Israel Institute of Technology (ÛÏTechnionÛÏ). Remark: The test will use molecular methods to count the number of live bacteria. It is based on the RT-qPCR enumeration of MTB 16S rRNA from viable tubercle bacilli. Remark: Advanced lateral flow assay and reader system that detects nanoparticles tagged to key biomarkers of malaria. Company Name: Sight Diagnostics Ltd. Remark: Automated, computer assisted microscopy. Benchtop device using disposable cartridges; quantitative, high throughput (30 samples batched). Remark: PCR: commercial kit uses disposable nucleic acid lateral flow immunoassay (NALFIA) for detection. Kit contains all necessary primers and reagents in stabilized form, as well as NALFIA lateral flow device to run test after amplification on traditional PCR thermocycler. Remark: POC automated PCR. Hand-held, battery operated POC PCR device. Uses disposable cartridges that are pre-loaded with reagents and probes required to prep sample and run assay. Will include qualitative output for five malaria species; TBD drug resistance testing. Remark: POC automated PCR. Hydrogel-based POC PCR, using disposable plastic tubes of desiccated hydrogel reagents for malaria PCR. Remark: P. vivax test in validation. LAMP: low throughput. Field stable quality assured LAMP kit for simplified, molecular detection using whole blood or dried blood spots. Qualitative results. 8 well format for individual testing. Remark: LAMP: high throughput. LAMP kit for simplified, high throughput malaria detection using whole blood or dried blood spots. Qualitative results. 96 well format for population screening. FIND, Porvair Sciences, 42 Technology, London Hospital for Tropical Diseases. Company Name: Meridian Bioscience, Inc. Remark: LAMP: low throughput. Malaria LAMP assay for illumigene benchtop system, quality assured, simple molecular detection, qualitative results. Company Name: Disease Diagnostic Group, Inc. Remark: POC Hemozoin detection. Portable (2 x 3 x 4 inches), rapid device using disposable plastic cuvettes. Remark: POC Hemozoin detection. Portable, rapid device using a reader and disposable cuvette. Remark: Transdermal Hemozoin detection. Device-based, transdermal detection of hemozoin on reagentless system. Remark: Hemozoin detection device. High-sensitivity diagnosis of malaria via magnetically induced linear dichroism. Remark: Automated computer assisted microscopy. Reads Giemsa-stained blood samples. Speciates, quantitative results. Remark: Cell phone based microscopy. Remark: Microfluidic cartridge processes samples, optical reader and image processing software. Remark: POC spectroscopy device. Portable device based on attenuated total reflection-fourier transform infrared spectroscopy. Pilot study in Thailand. Remark: Fluorescent probes that bind with parasite RNA causing malaria-infected cells to fluoresce when viewed under a fluorescent microscope. Remark: Serology: high throughput. High throughput, multiplex ELISA or other platform that detects antibodies marking recent Pv infection, for use in surveillance. Sero-test and treat for Pv. Remark: POC Serology. POC test that detects antibodies indicating recent exposure (about 9 months) to Pv, used to inform radical cure treatment. Remark: Advanced lateral flow assay and reader system that detects nanoparticles tagged to key serological biomarkers of malaria. Remark: Lateral flow immuno-chromatographic antibody-detection tests; quantitative output. Serology assay for recent exposure in pregnant women. Remark: A surveillance tool detecting antibodies against VAR2CSA. Battery/solar powered simple imaging cytometer. Company Name: One world Cytometry Inc. Remark: Automated POC microscopy platform integrating innovative Tubing-Free Lab on a Chip, mobile imaging platform, and artificial intelligence for image analysis. Company Name: Pinpoint Science Inc. Remark: IVD solution that will provide detection of malaria (HRP2) in seconds using either saliva or fingerprick blood sample using a low-cost reader, disposable cartridges, and a mobile app, allowing data to be captured in a cloud repository. The product is based on a novel nanosensor technology developed by University of California/Santa Cruz. Remark: ImmunoPoC relies on measurements of the immune response to diagnose the source of infection. Remark: Landscape of CRP tests coordinated by FIND. Remark: Landscape of PCT tests coordinated by FIND. Remark: A molecular technology measuring the expression levels of numerous host immune genes, and then applying proprietary algorithms to produce rapid, clinically actionable results. Remark: A malarial retinopathy detection system consisting of an automatic malarial retinopathy detection software integrated with low-cost and portable retinal camera designed for use in clinical settings. The ASPIRE system aims to augment the current cerebral malaria diagnostic standard. Remark: Antigen detection test developed by the University of California and other academic groups. Remark: The target is mycolactone, a toxin. Polyketide-derived macrolide. f-TLC is a home brewed method developed by Harvard University that WHO has adopted for evaluation and implementation at diszrict hospital level in seleceted sites, while other tests are developed. Remark: Other academic partners are also involved. Remark: This a very early stage project, with a panel of mAbs identified for characterization. Best mAb pairs for prototype RDT development have not been selected yet. This test is envisioned to have an additional application for a test of cure. Remark: LSHTM is also involved in the project. Remark: Other research institutes are also involved. Company Name: Kalon Biological Ltd. Remark: The antigen is a carbohydrate. The tracker is an interactive diagnostics pipeline that maps the status and estimated release dates of different diagnostic tests and offers a bird’s eye view of the diagnostic landscape, including a timeline for when products will become available for implementation. The Status View shows each technology along the stages of development. The Timeline View illustrates the approximate date of commercial availability, in low- and middle-income countries, for each product based on data that is publicly available. In the future, all diseases in FIND’s portfolio will be included in the interface. To update information on the pipeline tracker, or to add a new product, kindly fill out this form. DISCLAIMER: The Information used in this Pipeline was supplied directly from the companies or found in the public domain associated with the specific products, and used “as is” (“Information”). Under no circumstances shall FIND be responsible or warrant for the accuracy of any of the Information used in the Pipeline. FIND shall not be responsible and will not indemnify any third party in any way, for loss, claim, damage, or liability, of whatsoever kind or nature, which may arise from or in connection with the use the Information. Use of any such Information for whatever purpose, shall be at the users own risk and liability. Images, status and time estimates are to be taken as indicative. The timeline uses latest best estimates (LBE) for when technologies are expected to receive WHO recommendation. However, not all of the products in earlier stages are expected to receive WHO recommendation and therefore the timelines are only estimates. FIND encourages product developers to provide updates relevant to their products using the “Submit/Update a product” functionality above to ensure up-to-date Information.